IPPNW Austria and IPPNW Zambia are engaged in a research project in Lusaka, Zambia designed to improve care and support for victims of interpersonal violence in Zambia, and suggest guidelines for best practice for other sub-Saharan African countries. 30 Austrian medical students are participating in the project in Zambia along with their Zambian medical student counterparts. Training and supervision are being conducted by senior Austrian and Zambian medical leaders. The one year project has been underway since August 2012. Preliminary findings suggest widespread lack of awareness of social and other support services that are available to victims. An upcoming communications outreach program to hopefully improve this will soon take place with all medical and social service partners closely involved. 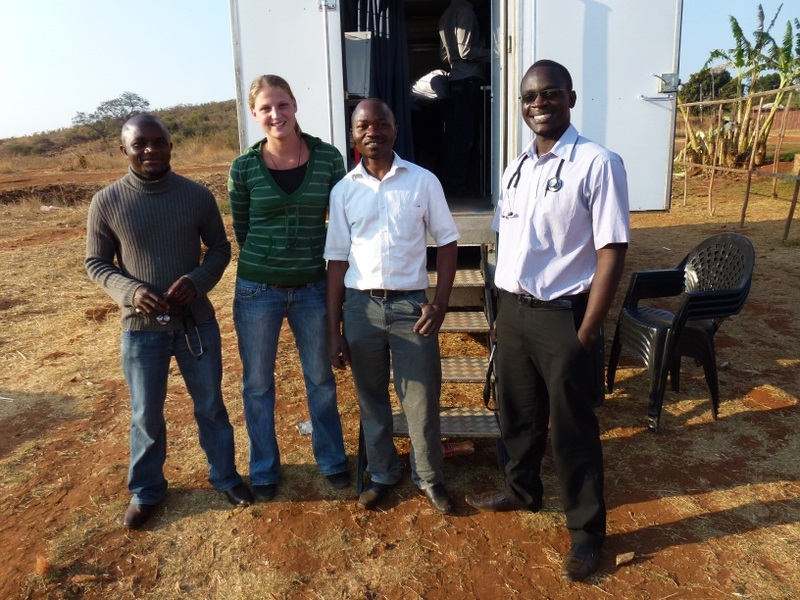 The following is a short report from one of the Austrian medical students who recently completed her research work in Zambia to contribute to the project. Please note that this project is almost entirely a volunteer effort, and we are seeking funds to help support the local work in Zambia, including a daylong meeting for partners in the medical and social service agencies. Please contact mvalenti@ippnw.org if you can help in any way! When I first heard of the victim assistance study and project in Lusaka, I immediately realized that I really wanted to work for it. After a daylong briefing with many other students, I finally started off with my colleague Bettina to Lusaka, Zambia. Our flight was only a few days after the briefing so everything was fresh in our minds. On the plane we were first introduced to the friendly people of Africa. My neighbor Chipo and I had a very nice conversation. After only a few sentences, she taught me the first words in one of the 72 national languages, which was very useful. After a few more minutes, she offered to give us a lift from the airport to our accommodation which was situated next to the Lusaka University Teaching Hospital. The accommodation itself was located on the hospital grounds and is actually the nurse’s home. There is a separate floor, which is designed for foreign students. There are mainly double rooms that are simply furnished with bed, cupboard, desk and mosquito nets (especially important in the rainy season) and are very clean. We shared a bathroom with shower, sink and toilet with the whole floor and there is also a kitchen that can be used by all. To the Emergency Room for Casualties (Accident and Emergency Ambulance together) you only walk for a few minutes. 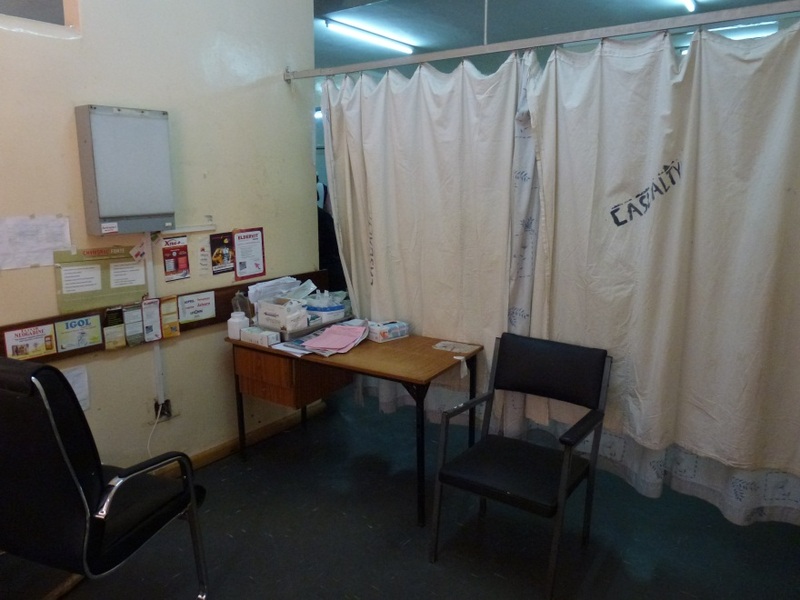 The Casualty department itself consists of 3 exam rooms, which are separated only by curtains from the waiting area. There is also a sewing room, a plaster room and 2 other rooms, the place for urinary catheters, vaccination or just for patients who are needed to be monitored. Our tasks were mainly sewing lacerations, x-ray interpretations, physical examinations, urinary catheterism, and of course, collecting data for the study. After a few days we were completely integrated into the ER processes and the staff knew about the kind of patients we wanted to talk to for the victim assistance project. The nurses and nursing students always contacted us, if we were in another room, if a patient arrived who was a victim of interpersonal violence. The patients were very cooperative and answered most of our questions. If a patient could not speak English, a nurse always was ready to help translate. The climate between doctors and students was very pleasant, and all were very interested in us and wanted to know a lot about treatments, diseases and general daily hospital life in Austria. The handling of doctors with patients is a little different here as in Europe. I was very impressed, however, as the doctors, with the little resources that they have, to come to their diagnoses. Most impressed I have been about the hospitality, the interest and the simple joy of the people. We have been more than once invited to friends’ homes and our friends have taken really good care of us and also showed us the town. All in all, it was a great experience. Medically speaking, I have learned a lot and things like Leprosy seen that I would have probably never seen in Austria. Thanks to the friendly people there, I got a good first insight into African culture and lifestyle, I helped contribute to an important research and assistance project, and it has piqued my interest for more. ← Is it time to improve nuclear disaster preparedness?